I have this in our master bedroom. I chose the gold. It looks amazing. Good quality and the nicest one I've seen. Glad that I got it! I like using Bedspreads instead of comforters, it is 2 less things I have to be concerned with. 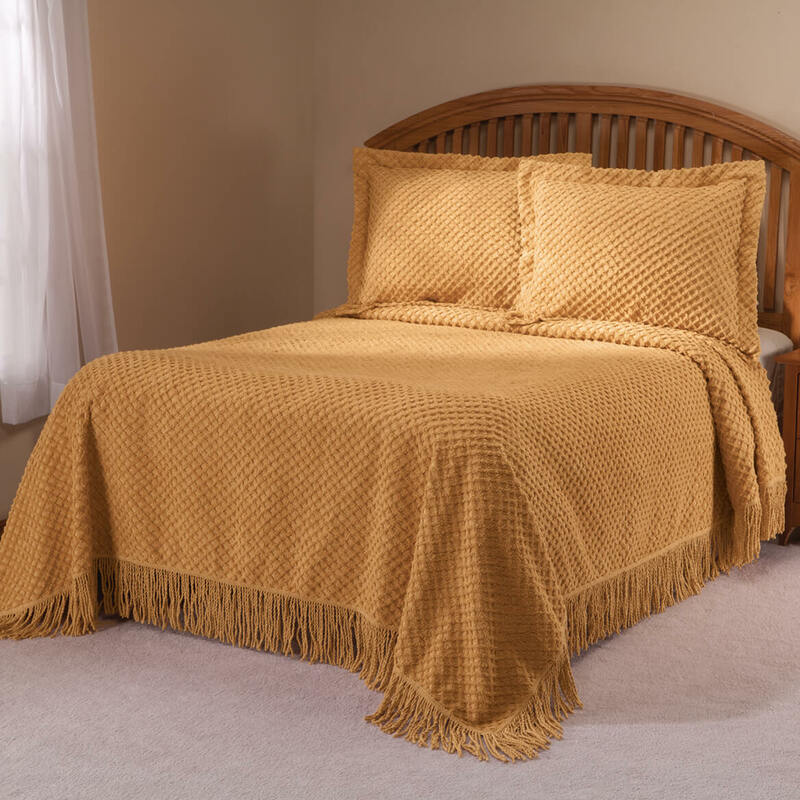 Looking for a gold chenille bedspread and reviews were very positive. I already have one and I really love it! So easy to make my bed and is very well made. Resists wrinkling no matter how much my husband rolls around. 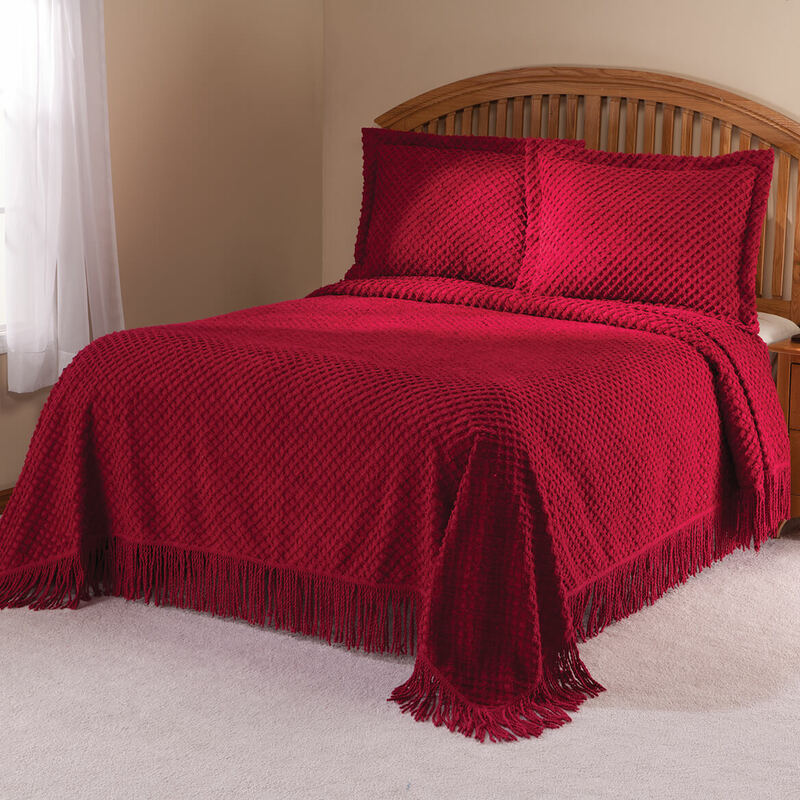 I needed the shams to go with the red bedspread. These look like they will work. The pattern of the spread and color. 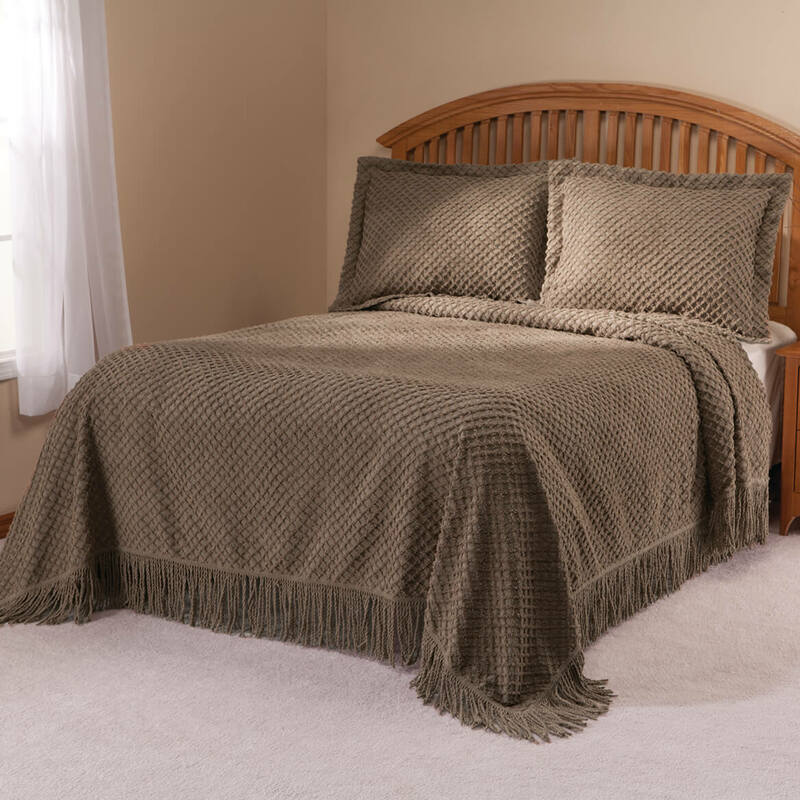 I liked the simple diamond pattern and feel of the chenille material. Is the taupe a true taupe or a rust color? BEST ANSWER: Thank you for your question. The color is more taupe. We hope this information will be of help to you. is the bedspread long enough to completely cover the pillows enough to tuck them under? BEST ANSWER: Yes it is, and then some. I got the gold and bought the shams too. But I tuck the bedspread around the pillows sometimes. 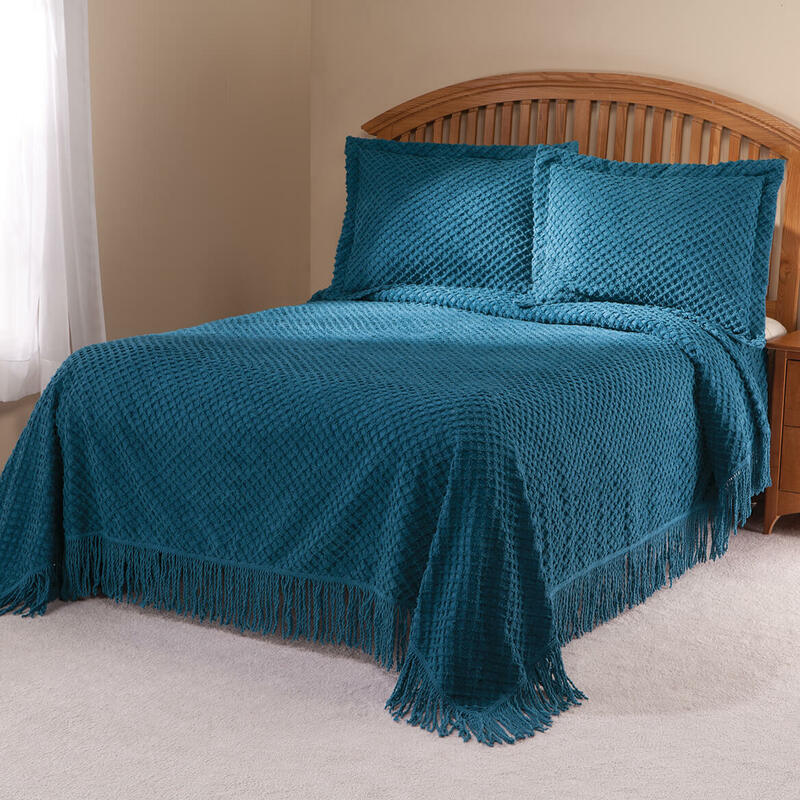 Its a beautiful and quality bedspread ...Enjoy! 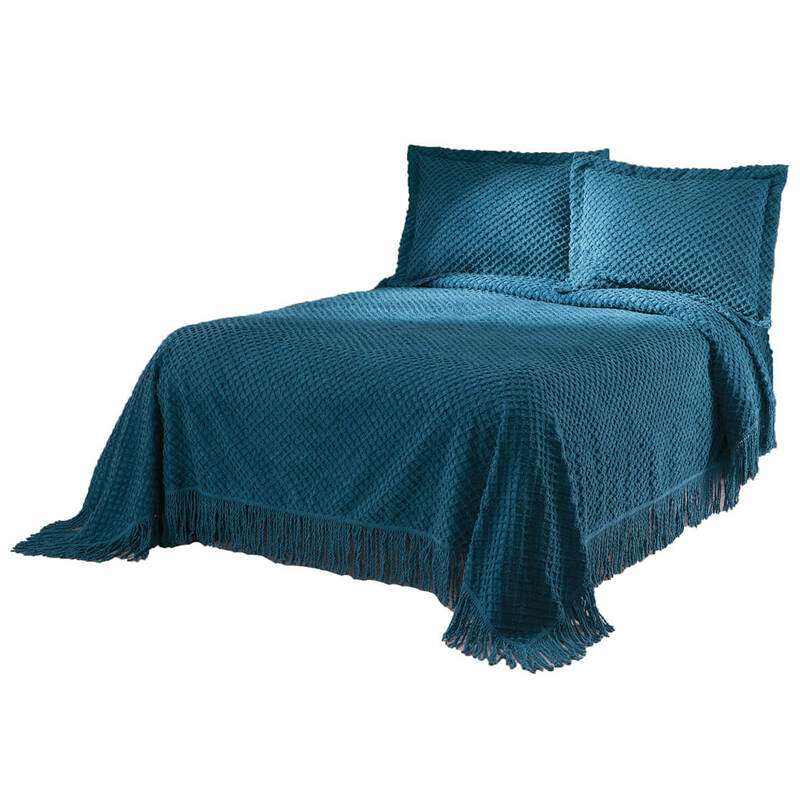 I would like toupe pillow shams to match the bedspread but it does not look like they match? BEST ANSWER: The shams match perfectly. Same color and texture. I got the gold and it is really nice.